A particular anxiety/curiosity of any author who undertakes a work of biography is whether they have discovered anything new about their subject. I’m not sure that I have any ‘smoking gun’ for Edmund Spenser (1554?-1599) that conclusively proves something that no one knew before, and there is no one single archival discovery that can be trumpeted as a particular triumph. But I think I have rearranged and rethought Spenser’s life and its relationship to his work in some new ways. Here is a list of my top ten favourite Spenser facts and conjectures, some known, some less well known. His first wife, Machabyas Childe, is something of an enigma. She married Edmund Spenser on 27 October 1579 in St. Margaret’s Church, Westminster — a grand venue, which later witnessed the weddings of Samuel Pepys, Sir Winston Churchill, and Harold Macmillan. It is now the church of the House of Commons. Despite my best efforts I can find no other woman called Machabyas in early modern England and I have asked the Dutch and Huguenot Churches for help. She died at some point before 11 June 1594, when Edmund married Elizabeth Boyle. Spenser was closely connected to Sir Henry Wallop, the under-treasurer in Ireland, and was involved in land deals with him. 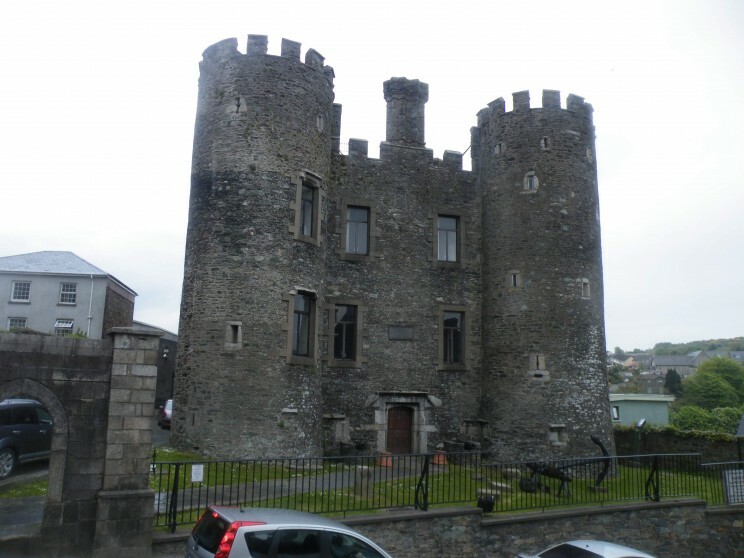 He briefly owned Enniscorthy Castle, which the Wallops held until the early twentieth century. Colm Tóibín’s family later lived there. Spenser probably visited Wallop in Farleigh Wallop. John Aubrey interviewed someone who remembered Spenser being in the area, linking him to Alton, where a house proudly bears a plaque claiming that Spenser lived there. But Spenser surely went to Farleigh Wallop. ‘Spenser and Raleigh’, from H. E. Marshall, English Literature for Boys and Girls (London: T. C. & E. C. Jack, 1910). Reproduced with kind permission of Lebrecht Music and Arts. Edmund Spenser was related to the Spencers of Althorp through his second wife, and so is related to Lady Diana Spencer (Diana, Princess of Wales). He may have had a more direct relationship too, but there is no evidence of this (probable) link. Spenser’s writing career is very odd. He burst on to the scene at a relatively late age when he published The Shepheadres Calender in 1579, then published no more poetry until the first edition of The Faerie Queene in 1590, which appeared in a rather unimpressive form, a sign of how far his stock had fallen. However, a torrent of works followed, and by his death he had become the most celebrated poet writing in English. The hiatus is surely no accident as Edmund acquired his estate in 1589/90, just before he started to publish again. 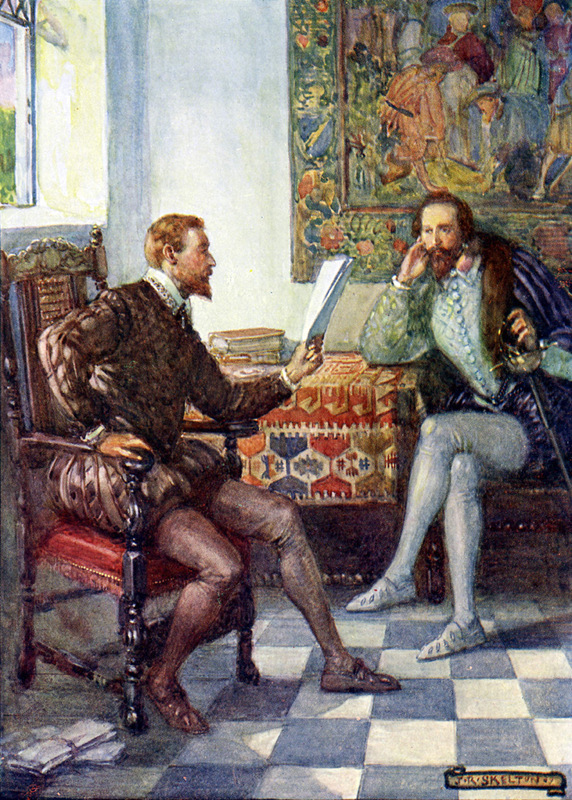 Spenser is assumed to have been friendly with Sir Walter Raleigh and they are frequently depicted together. They clearly knew each other, but the evidence is all on Spenser’s side, not Raleigh’s. Raleigh’s widow, Elizabeth Throckmorton, annotated her son’s copy of The Faerie Queene, but seems not to have known much about Spenser and reads his poem in odd, self-serving ways. 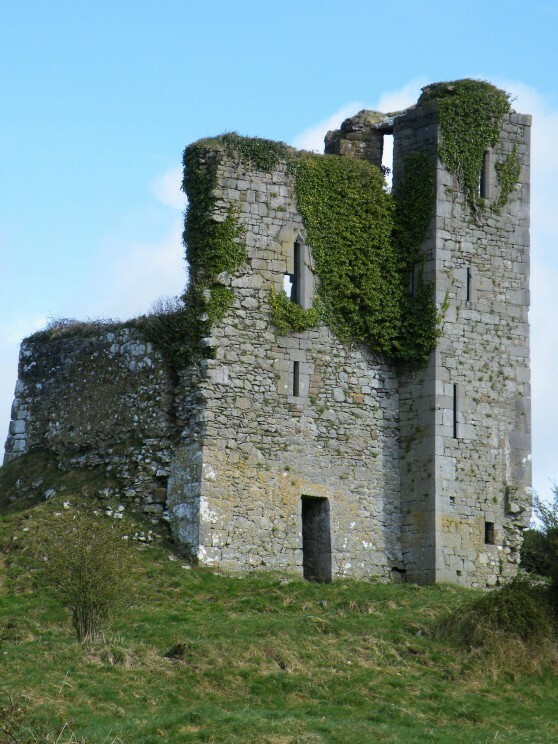 Spenser is associated with Cork, but he probably spent far more time in Youghal, where his second wife lived. Transport was undertaken more often via waterways than roads, and the navigable rivers — the Blackwater and its tributary, the Awbeg — would have taken Spenser from his estate to Youghal rather than Cork. Legend has it that when his Irish house, Kilcolman, was finally overrun by Hugh O’Neill’s forces in October 1598, Spenser escaped through a cave and that a child of his perished as the house burned. This is unlikely to be true. Unless he was very foolish he had probably already left for the safety of Cork city. William Camden records that many poets threw poems and quills into Spenser’s grave at his funeral. His tomb was searched in the 1930s, but nothing was found. There is no reliable image of Spenser or anyone connected to him. The Spenser portraits we have were discovered in the eighteenth century and are no more than dubious attributions. There is a tomb in Kilcredan Church which once contained the head of Elizabeth Boyle, but it has now been lost. Andrew Hadfield is Professor of English at the University of Sussex and Visiting Professor at the University of Granada. 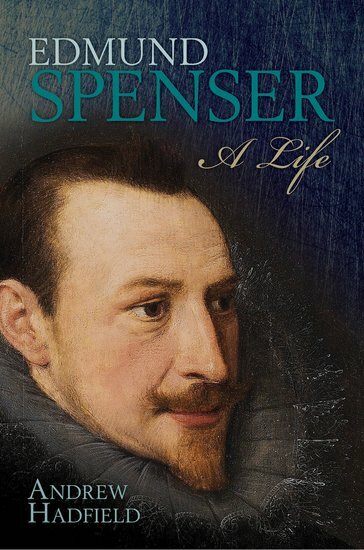 He is the author of a number of works on early modern literature, including Edmund Spenser: A Life; Shakespeare and Republicanism; Literature, Travel and Colonialism in the English Renaissance, 1540-1625; Spenser’s Irish Experience: Wilde Fruyt and Salvage Soyl; and Literature, Politics and National Identity: Reformation to Renaissance. He was editor of Renaissance Studies (2006-11) and is a regular reviewer for The Times Literary Supplement. so, biographer, what is the best thing Edmund Spenser wrote, out of curiosity, in your opinion?